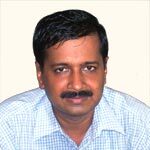 In conversation with Vinita Deshmukh, Magsaysay award winner Arvind Kejriwal talks about India's RTI movement, and worries that a formidable tool of empowerment might slip out of the hands of citizens if amendments proposed by the UPA government are enacted. An IIT graduate and a former bureaucrat with the Indian Revenue Service, Arvind Kejriwal has created a silent social revolution in the Right To Information (RTI) movement in the country through his organization, 'Parivartan'. Propelling common people to invoke the Act, he streamlined the Public Distribution System (PDS) in Delhi where information obtained under the RTI revealed that the shopkeepers and food grain officers siphoned off 87 percent of wheat and 94 percent of rice meant for the poor. He used Gandhiji's favourite weapon of Satyagraha in cases where the government departments hesitated to appoint Public Information Officers (PIOs) or where they refused to adopt transparency, as required by the RTI Act. He has been guiding hundreds of faceless citizens to use the RTI for their right to have proper public utility services, since they are the taxpayers to whom the local and state governments are duty-bound to provide the information. His passion and dedication to this movement in India have been aptly recognized with this year's Ramon Magsaysay award for Emergent Leadership, recently bestowed upon him. In an exclusive interview to India Together, Kejriwal gives an insight into the RTI movement in India, and worries that this formidable tool of empowerment might slip out of the hands of citizens if amendments proposed by Manmohan Singh's government are enacted. Vinita Deshmukh spoke with him. Firstly, I would like to clarify that the award does not belong to me  it belongs to the entire RTI movement and every RTI activist in the country. I am happy that the world has responded so positively to the RTI movement in India. Though sadly, the Indian government is all set to kill it through amendments, which it proposes to pass shortly in the Parliament, with disastrous effects on transparency, which had just made its presence felt in the country. I have procured the copy of these amendments and if it is passed by the Parliament, then it will practically kill the RTI movement in our country. One of the crucial amendments is the deletion of 'file notings' by civil servants in administrative matters, which has created an uproar among RTI activists across the country. What are the implications of making file notings inaccessible to the common man? Also can you elaborate on other proposed amendments? As for the file notings, the proposed amendment says that they will be provided only in case of 'substantial' social and development issues. The word 'substantial' has not been defined and it therefore has no meaning. What it implies though is that each time a citizen requests for file notings he or she will have to hire an advocate to argue his case of whether the particular social or development issue is 'substantial' enough to demand transparency. Secondly, for any information given, the name of the officer or reference to any individual will be obliterated, which means an end to transparency, as government officers and politicians, even if corrupt, will be shielded. Fourthly, now the Cabinet papers are never going to the disclosed until a Cabinet decision has been made. Until now, Cabinet papers were open to public scrutiny during the process of decision making, so that any decision that could adversely affect the good of the public could be questioned. These sometimes comprised notings of 10-15 files. Now, you can see them only after it's too late  when the Cabinet decision has been finalised. Of course, opposing the amendment is going to be my top priority and biggest challenge now. However, I want to tell everyone that nation-wide protests should not be confined to RTI activists only. Since these amendments are going to affect everyone's life with disastrous consequences, the media as well as the people should wage a war. From this week onwards, up to August 25, a number of events are being organised in Delhi and large parts of the country to protest against the attempt of the government to strangulate the common man's 'right to know' right. What's distressing and scandalising is that, the government is extremely secretive about the proposed amendments and is not willing to even make the draft proposal public. Somehow, I have managed to procure a copy. It is also secretive about when it is going to pass these amendments. So, at a time when the country was successfully moving towards transparency, the government is hell bent on taking a retrograde step. Being a graduate from the elite IIT corridors of learning and having a cushy government job at the bureaucratic level, what drew you towards this people's movement? It did not happen overnight, but took six to seven years to evolve. I was very happy with my government job but there was a lurking feeling of so much corruption, which existed at the level of the common man. He was asked to pay at every step for a work, which a government officer is duty bound to do by law. Thus, the common man was being forced into corruption, since he was asked to pay bribes at every stage. As a deputy commissioner of the Income Tax department, I helped people to get their jobs done without any middle men and without having to pay bribes to government personnel and also formed Parivartan as a platform to address people's grievances. Undoubtedly, the ongoing attempt by the government to dilute the Act.